French President Emmanuel Macron has criticized Europe’s handling of the influx of refugees to the continent, calling for a collective European response to the worsening crisis. 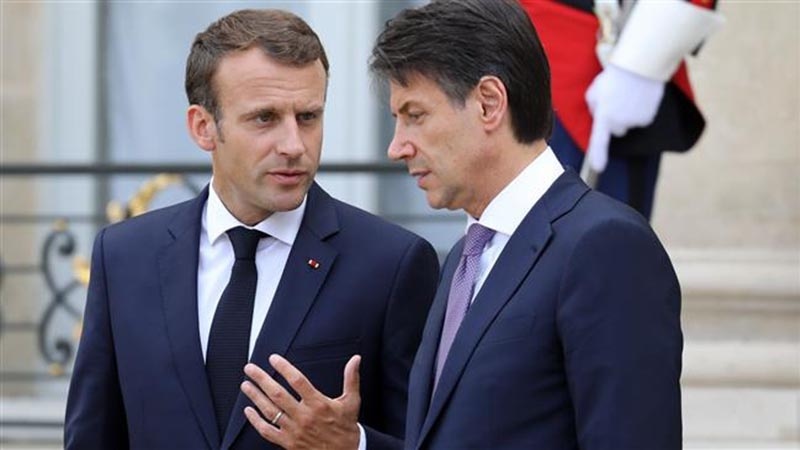 Speaking at a joint press conference with Italy’s new Prime Minister Giuseppe Conte at the Elysee Palace in Paris on Friday, Macron said “the proper response is European, but the existing European response is not adapted” to the times. Europe’s refugee crisis escalated earlier this week after Italy and Malta turned away Aquarius rescue ship carrying 629 refugees and kept it waiting in international waters between the two countries for over 30 hours with limited food and drink supplies and in bad weather conditions, facing potential death. Following the incident, UN refugee chief Filippo Grandi urged the EU to sort out its “shameful” refugee policy. Macron urged the Italian premier to work with France, Germany and Spain on resolving refugee issues instead of siding with an anti-immigration “axis” recently proposed by Austria’s right-wing Chancellor Sebastian Kurz. “I hope deeply that France and Italy will work hand-in-hand, together, to propose and contribute European solutions, in particular with partners like Spain and Germany,” Macron said. The French president warned that such an axis was a reminder of Europe’s darkest times — when Germany and its allies were called the Axis powers during World War II– and noted that only a head of state can speak on behalf of a country. “Italy has a head of government, France has a head of state, Germany has a head of government. If countries are to agree on something, it should be at that level, because only they answer to their people,” Macron said. Germany’s interior minister had said earlier this week that his country should form the anti-immigration “axis” with Austria and Italy. However, German Chancellor Angela Merkel warned EU countries on Wednesday against pursuing a unilateral policy with regard to the refugee crisis and called on the bloc’s member states to overcome their differences and take a unified approach over the issue.